Pie Hole Blogger: Gluten-Free Superfoods for the Gluten Intolerant? Gluten-Free Superfoods for the Gluten Intolerant? The "gluten-free" craze of "superfoods" continues to rear its ugly head. But there's a relatively new player in the medical world, and that's "gluten intolerance" or "non-celiac gluten sensitivity" (NCGS). It's a mouthful to be sure, but what is it? The number of people following a gluten-free diet (or think they are) has increased since 2009, but the number of people diagnosed with celiac disease remains about the same. Basically, more people are jumping on the gluten-free bandwagon without an actual celiac disease diagnosis, probably because it's trendy and falsely "healthy" (you can probably sense my eye roll and see my air quotes). Pie Hole devotees will recall several celiac-related articles tackling what it is, how it's diagnosed, and how it's not diagnosed. One such article discussed NCGS and its lack of medical biomarkers, making it difficult to test for and identify. In contrast to people with celiac disease, these findings suggest that people with NCGS have intestinal cell damage, and a weakened intestinal barrier. Think of it as a nightclub with a bouncer who lets in the riffraff. People with celiac disease do not exhibit this systemic immune response, rather, it's strictly localised to the intestine. Think of this where the bouncer does his job and keeps the riffraff out. The systemic response observed in NCGS subjects is likely due to microbial components that are released from the gut into circulation. This doesn't occur in celiac patients because the intestinal immune response is able to neutralise these microbes and prevent them passing through the intestinal barrier. 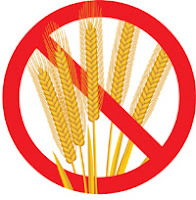 The study found immune activation and biomarkers returned to normal after dietary restriction of gluten. The potential mechanism, or trigger molecules responsible for intestinal barrier weakening is currently unknown, hence a great potential for more research. Some food for thought, though, another recent study investigating NCGS found participant's symptoms significantly improved when following a low FODMAPs diet. 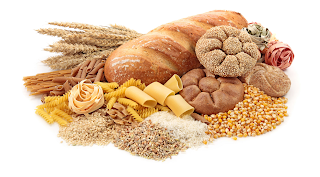 Gluten-specific effects were only seen in 8% of participants. FODMAPs predominantly trigger gut symptoms, and many foods that contain gluten (eg: cereals) also contain one or more FODMAPs. So, going gluten-free to keep on point with food trends may be totally useless. And if you think you have NCGS, you might want to tone down the FODMAPs first.